Hey Folks, We are back again for our Cloud Study Jams series! Next week we will be running a side-event as part of DevCon Mauritius (inarguably the largest conference taking place on the island this year). -Learn how to set up development and production environments in the Cloud. -Learn how Docker and Kubernetes work, or learn how to process Big Data in the Cloud. -Get access to Qwiklabs.com, a Google training tool, free of charge (a $70+ value). -Get Google-hosted badges for your online profiles, to show potential employers what they know about Cloud computing. Requirements: Come with your laptops as sessions will be very hands-on. It's going to be amazing. Looking forward to seeing you there. Cheers. 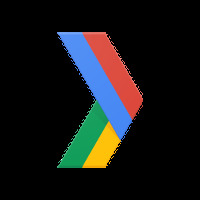 The GDG Mauritius is a local community-ran meetup for developers interested in resources and technology from Google Developers. Disclaimer: GDG Mauritius is an independent user group; our activities and the opinions expressed here should in no way be linked to Google, the corporation. Are you organizing Cloud Study Jam at DevCon Mauritius? Are you an organizer of Cloud Study Jam at DevCon Mauritius ?